Many companies still process their invoices on paper. This results in increasing error rates, long processing times, and a lack of an overview. In the worst-case scenario, discounts can no longer be provided, and payment deadlines can’t be upheld. Moreover, invoice storage is costly. Switching to electronic invoices with enaio® can save a company up to 80 percent on costs and unleash unused labor potential. enaio® enables quick, secure processing and exchange of electronic invoices. Review routines and digital workflows for notification and approvals ensure a high level of security and transparency. 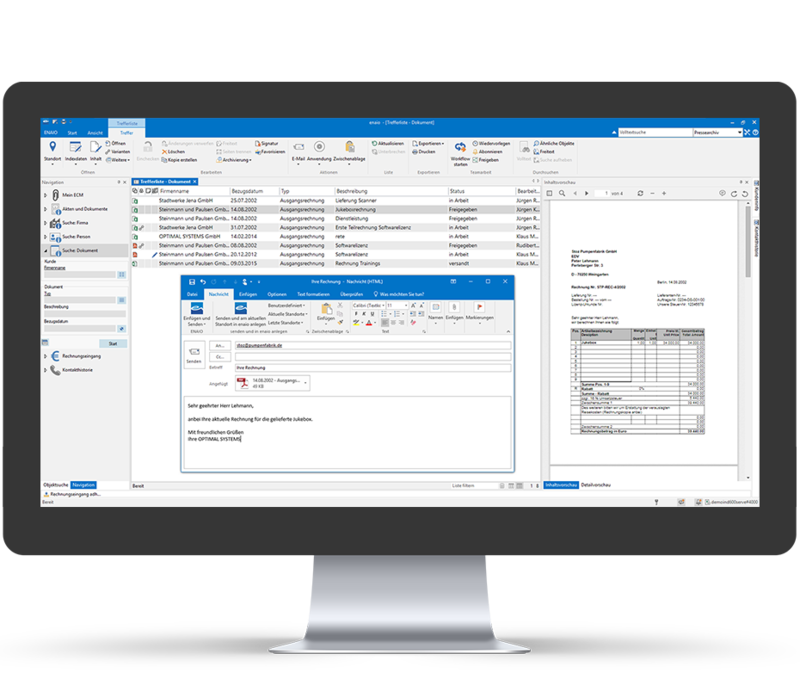 enaio® is a solution that detects incoming invoices (whether they are in electronic or paper form), distributes them automatically, and compares the data with existing data in the ERP or financial accounting system. The transactions and invoices can be directly linked with electronic records. Manual invoice processing incurs significant costs for companies. Digital solutions create lasting potential to save on money and boost efficiency. Realize significant time savings through digitized and automated invoice processes. enaio® works together with established ERP and financial accounting systems. Self-learning capture mechanisms optimize work during operation. You can find all the invoice documents that need to be processed in the invoice inbox. Workflows support timely processing. All invoice data is displayed in a clearly sorted way. The respective data status is always recognizable at a glance. Send your invoices directly via e-mail, thanks to Outlook integration. To this end, integration with all common ERP and financial accounting systems is supported. enaio® allows you to implement easy-to-automate solutions for incoming invoices in your company. 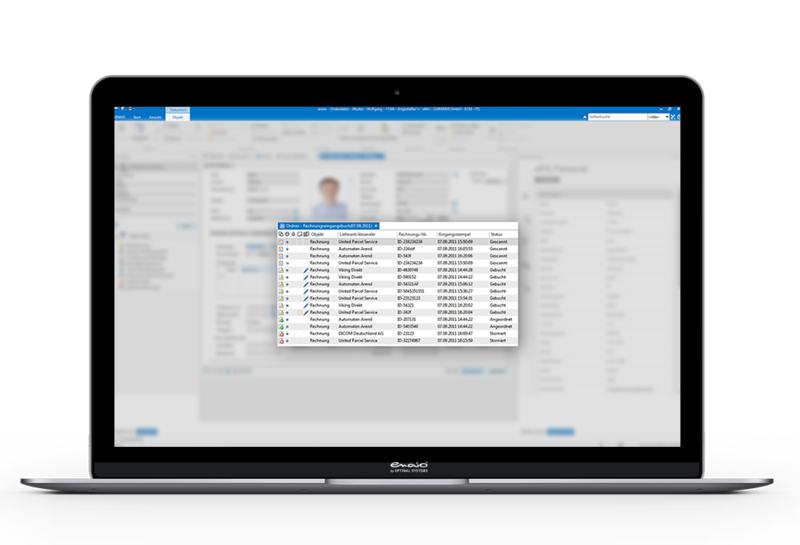 Incoming invoices are digitized via batch scan and self-learning data extraction and automatically stored in the right context in enaio®. Moreover, the captured data can be checked for plausibility and compared with existing data in the proprietary ERP/financial accounting system. All receipts for individual posting records can be directly displayed in the respective ERP system (image enabling). Dunning and retention periods for the system ensure that deadlines are upheld and tasks aren’t left undone. The documents can trigger workflows in the ECM system that ensure automated forwarding to the responsible editor. Substitution rules, follow-ups, and dunning periods ensure that nothing is left undone and that everything is transparently processed on time. 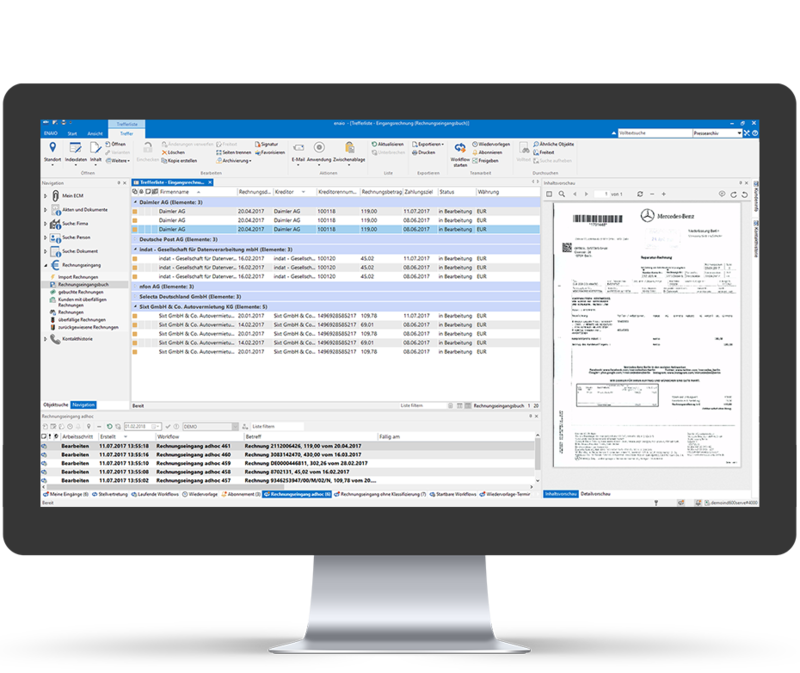 enaio® thereby creates an important basis for audit-proof digital archiving through transparent process control in combination with corresponding process documentation. This makes it easy to implement the requirements of the GoBD, for example. 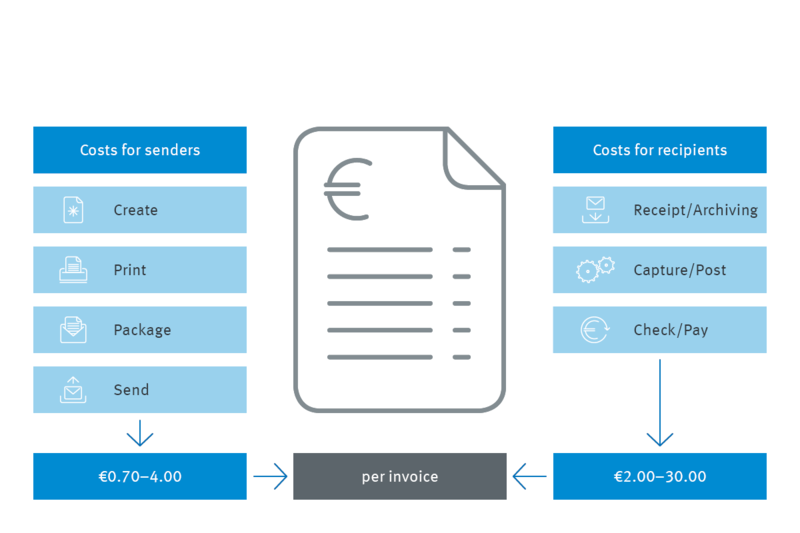 enaio® also allows you to handle paper invoices and import and automatically process various electronic invoice formats, such as ZUGFeRD and XRechnung, from electronic inboxes. The company introduced OPTIMAL SYSTEMS software to speed up data access and to optimize work processes. The manufacturing company with 1,750 employees has a very high number of ERP workstations, which is why the interaction of ERP and ECM is very important. https://www.optimal-systems.de/wp-content/uploads/2017/10/kesseboehmer-referenzlogo.png 520 520 team https://www.optimal-systems.de/wp-content/uploads/2019/01/Brustlogo_weiß_enfold-300x116.png team2018-08-06 12:50:592019-03-18 10:24:33Kesseböhmer Holding e.K. Our invoice processing times have been reduced by up to 80 percent, thanks to the incoming document workflow that integrated perfectly into our company workflows. Incoming invoices are automatically processed, and all participants, meaning the mailroom, auditors, and objective corrections, are integrated into the electronic invoice review process without media interruptions.